The latest standoff is part of a general state of conflict between the Buenos Aires provincial government and the province's large public sector. 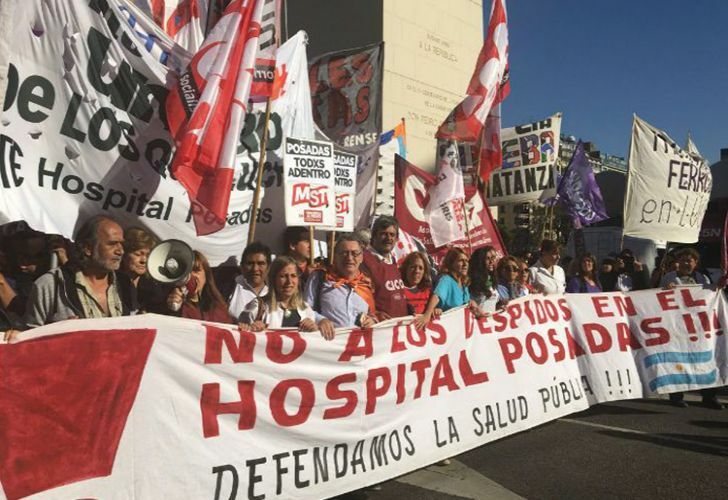 Doctors in Buenos Aires province will strike for 48 hours today to demand a new round of collective wage bargaining talks and improved security in hospitals. Teachers unions are also considering strike activity. In a statement, doctor union CICOP said its members were seeking "increased salaries with adjustments [for inflation], permanent contracts and the regulation of career paths, resident doctors' work rights, and compliance with violence protocols". Doctors and healthcare workers will meet at the Evita Pueblo de Berazategui Hospital on Tuesday morning to initiate their strike activity and to protest "the grave situation that played out recently when a resident, who was carrying out her tasks on a night shift, was attacked by a stranger inside the hospital". "With almost no police presence and with security guards who carry out almost every work task imaginable except the one they were assign to (security), what happened is an unfortunate episode among those episode which CICOP has tirelessly denounced", the statement read. Teachers in the province were also considering their next move against the Vidal administration, after Labour Minister Marcelo Villegas announced the provincial government will only reengage with unions over wages in December. "It doesn't surprise us. It's what they planned to do in the offer we rejected. What they want is to lower our wages, which is why they delay bargaining talks", said SUTEBA Secretary General Roberto Baradel. Teachers unions, whose affiliates walked off the job as recently as last week, will meet next week to weigh up their options, he confirmed.